Alexa Chung named her Spring '19 collection 'Arrivals and Departures' – it channels the airport style of the most glamorous '70s icons, like Faye Dunaway and Jane Birkin. 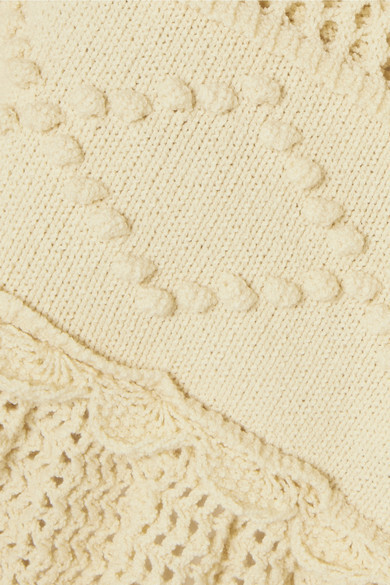 This scalloped top is crochet-knitted from cotton-blend yarns in a slightly loose shape. 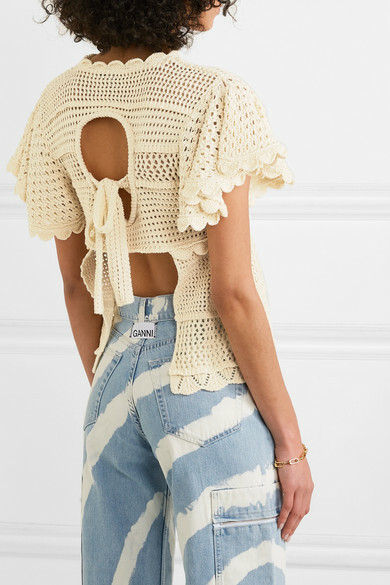 Fasten the tie to close the open back and wear it with psychedelic jeans. 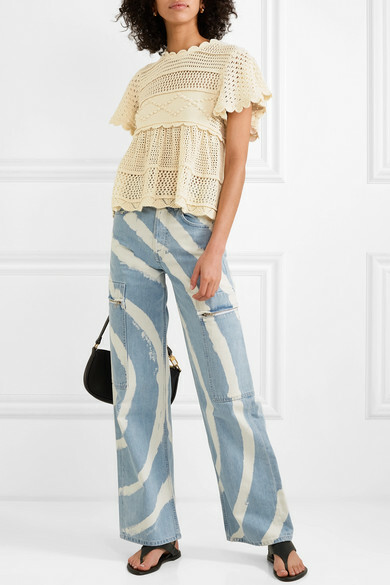 Shown here with: GANNI Jeans, BY FAR Shoulder bag, Vince Sandals, Sophie Buhai Earrings, Monica Vinader Bracelet.